The near £50 million difference was largely the consequence of player transfer activities. Whereas 2016-17 had produced a near £35 million profit on player sales, last season generated just £2.4 million. At the same time, the arrival of players such as former Liverpool man Mamadou Sakho pushed up amortisation costs. 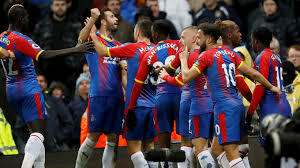 All told, the 2016-18 period has seen Palace disburse around £117 million on players, with well under £50 million recouped from player sales, of which just £12.7 million came in last season. Turnover in 2017-18 exceeded £150 million, with the vast majority, £121.2 million, derived from broadcasting rights. Gate receipts crept up to just under £10.9 million. With the club said to be operating at 98.5% occupancy, the accounts served notice that ticket-pricing would be “further reviewed for the 2019-20 season”, which now looks all but certain to be spent once again in the Premier League. The club said it would start construction “as soon as possible” on a new 8,300-seat stand. It has also signed a 75-year lease on its academy site in Beckenham. Short-term creditors were up again to £134.2 million at end-June 2018. Within this figure was a £21 million loan from the parent company, up from £13.5 million, and just over £29 million of “advances under funding agreement”. Notes to the accounts explain that these advances are secured on central funds due from the Premier League. While that £29 million advance was repaid in full subsequent to the year-end, a further advance of £40 million was received under “an equivalent agreement”. The accounts of the club’s ultimate parent, Palace Holdco UK Limited, disclose that post year-end Palace Holdco received a further loan of £24.375 million from shareholders.